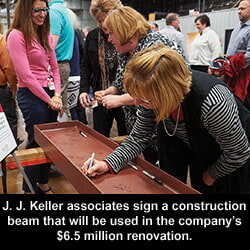 Neenah, WI - Yesterday, J. J. Keller & Associates, Inc. officially began construction for a $6.5 million renovation project on its corporate campus at 3003 Breezewood Lane in Neenah. The company will remodel 67,000 square feet of an existing warehouse and office space, known as its Vinland location. The renovation will accommodate future growth, as well as create the type of environment associates seek to work in today. Keller, Inc., based in Kaukauna, Wis., is the architect and design/build general contractor for the project. The Vinland building was originally constructed by J. J. Keller in 1971 as a printing facility. It is one of two buildings on the company’s corporate campus in Neenah, with additional sales and technology offices in the Fox Valley. Since 1971, J. J. Keller has built multiple additions to the Vinland building, for a total of 382,338 square feet used for printing, manufacturing and office space. Construction on the J. J. Keller Vinland location is expected to be completed in October 2018. Note to editors: Keller, Inc. and J. J. Keller & Associates, Inc. have similar names; however, the two companies are not affiliated. Serving more than 600,000 customers, including 90% of the Fortune 1000® companies, J. J. Keller & Associates, Inc. is the nation’s leading provider of regulatory, safety and compliance solutions. Organizations of all sizes rely on our expert insights to help create safe work environments and simplify the complexities of regulatory compliance. Our diversified portfolio of solutions and services including online management tools, publications, training, forms, supplies, consulting and professional services is trusted to safeguard workers, reduce risk and build operational confidence. As a privately-held, family-owned company since 1953, we are committed to helping protect lives every day. For more information on J. J. Keller & Associates, Inc., visit JJKeller.com. 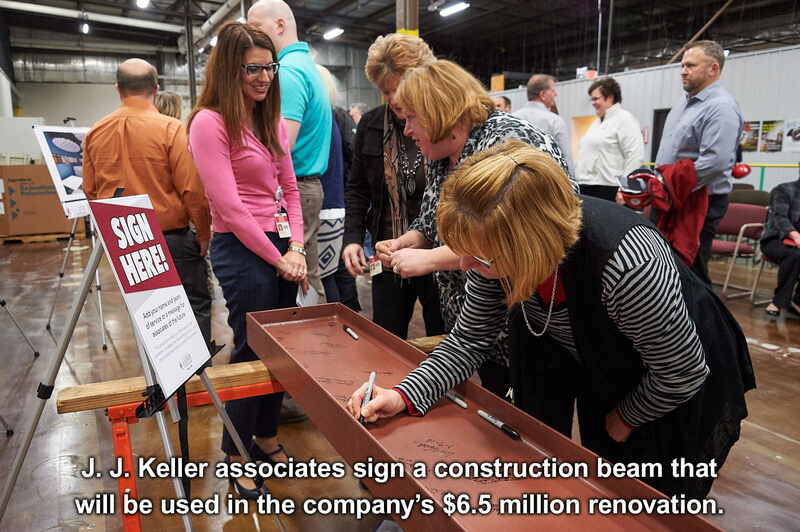 Keller, Inc. is 100 percent employee owned and has offices in the Fox Cities, Madison, Milwaukee and Wausau. They are leaders in the industry specializing in new construction, remodel, retrofit, and reroof projects. They have the staff and expertise to take projects from the early phases of design through the construction process to ensure that the project is completed on time and within budget. For more information on Keller, Inc., Top Metal Builder in the Nation as reported by “Metal Construction News” visit www.kellerbuilds.com.